By now you will hopefully have tasted the exquisite desserts made by our award winning bakers. Now imagine if you could enjoy some of these over the festive period. 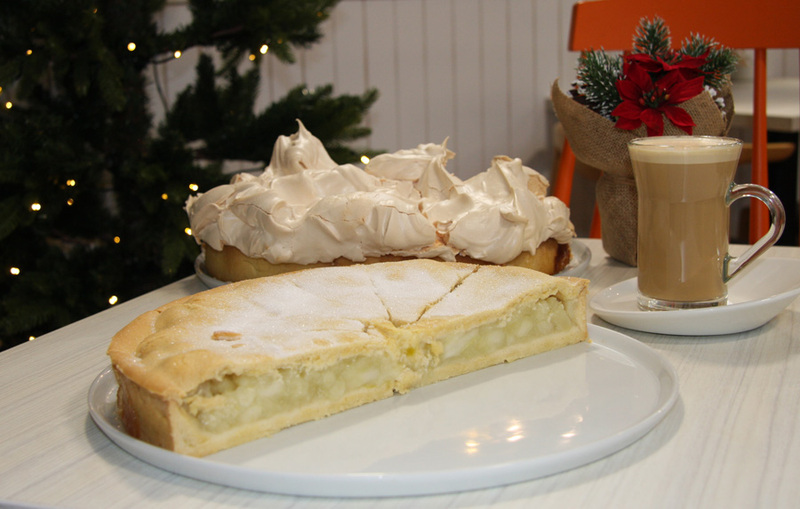 Well imagine no more as we are delighted to offer you a selection of home baked delicious desserts all 12 inch that will comfortably serve 12 to 16 people – not a chance if it’s Coleman’s lemon meringue and me in the same room! I digress … place an order today and we will bake to order any of the following for only £20.00 for a 12 inch size and you can collect on Christmas Eve up to 12 noon… Lemon Meringue Pie, Decorated Pavlova, Strawberry or Crunchie Cheesecake or Deep Filled Apple Pie. Lemon Meringue Pie and Decorated Pavlova are available gluten free – please request when ordering. PS We will bake undecorated Pavlova for only £8.00.